January 8, 2015 April 18, 2019 - The 'Noms. 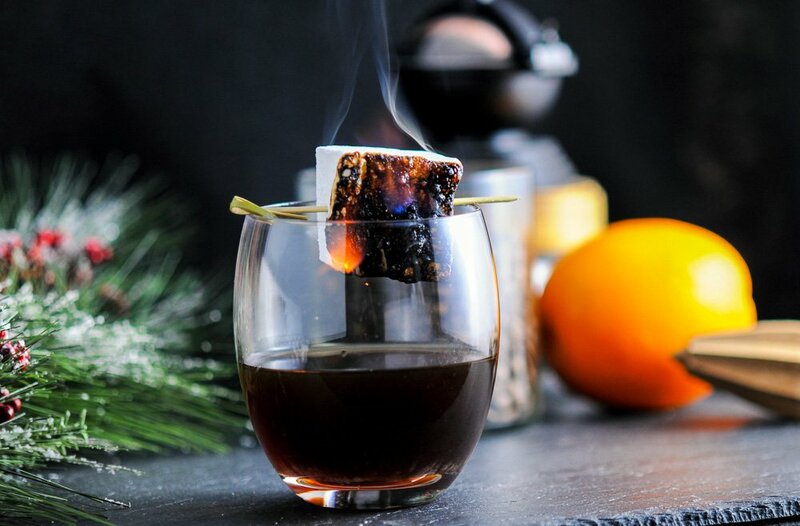 Want coffee and dessert, all in one? 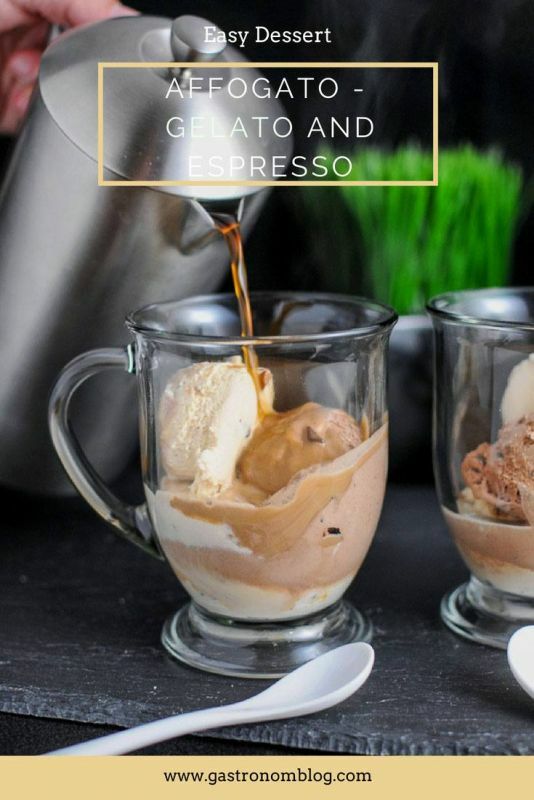 Try this delightful mix of coffee and gelato in this Affogato! 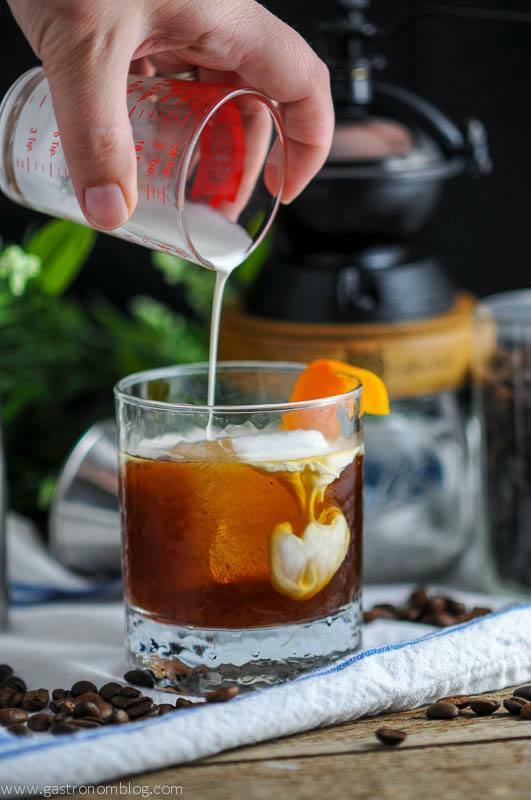 While we are totally passionate about cocktails, we are also very passionate about coffee! Our favorite way to start the morning and chase away the cobwebs is to start the day with a strong cup of coffee. 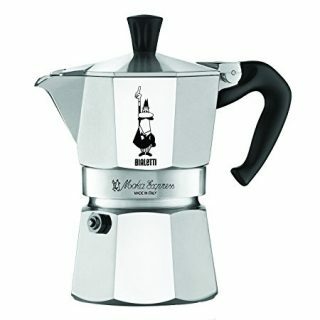 We love rich strong coffee, such as espresso, but we also like to add in a splash of cream and sugar. Coffee just isn’t just for mornings though, as a cup of strong coffee after dinner is a traditional way to cap a big meal, and if you are like us, you also find a way to combine it with dessert! 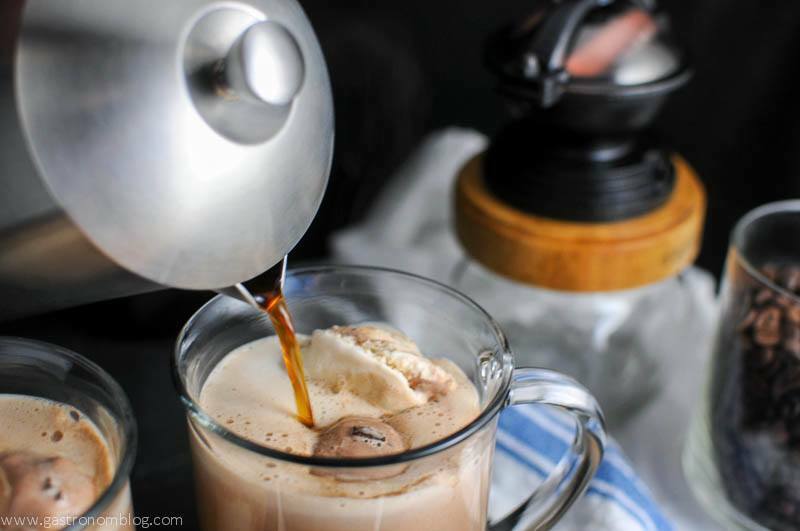 Affogato is an Italian way to enjoy gelato or ice cream and coffee in one place. Meaning “drowned” in Italian, affogato is traditionally a scoop of vanilla or chocolate gelato drowned in freshly brewed espresso or coffee. 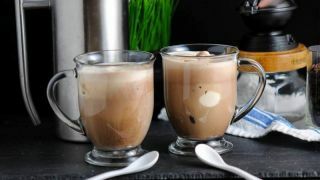 The combination of the sweet creamy gelato mixes with the bitterness of the coffee to create a rich and creamy beverage. If you want another way to close out a meal, try our Toasted Cream Irish Coffee! How Do You Eat Affogato? Usually made in a shallow bowl, topped with Espresso. How Do You Make Affogato? 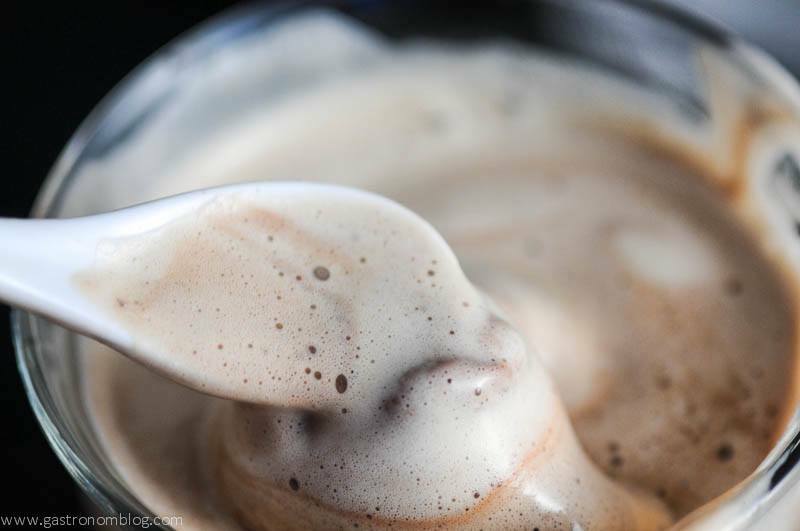 Usually we pair every scoop of ice cream or gelato with at least 1 oz of hot espresso. 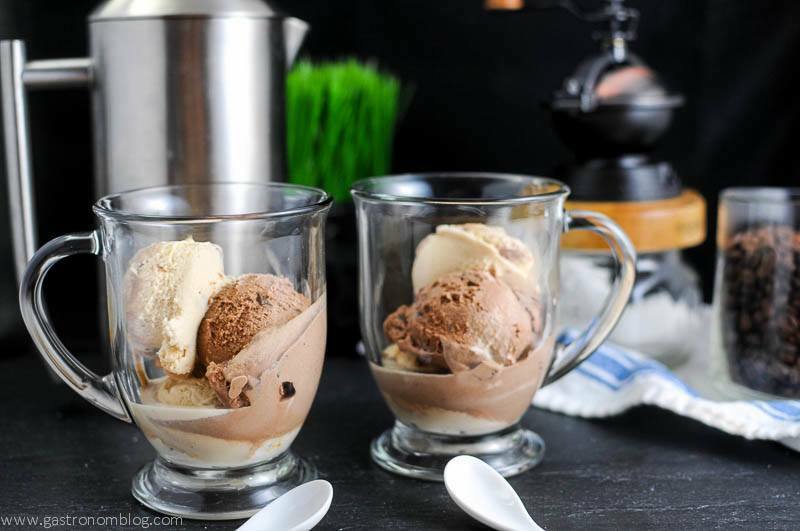 Chill the glass or bowl before hand and then add the cold ice cream or gelato then add the hot espresso. You can also add alcohol if so desired. If You are Looking for More Coffee Recipes, Try These! This can be done with any combination of things – such as Lemon Sorbetto topped with grappa in the summer, or peppermint ice cream topped with hot cocoa if you don’t care for coffee. Make it your own! A great combo of espresso and gelato. You can also add in a little adult beverage touch. Dessert and cocktail all in one! 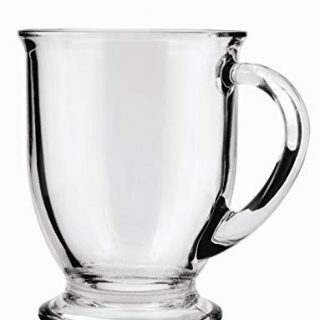 Place gelato in a dessert bowl or coffee cup. Spoon espresso and rum, if desired over the top of gelato. Any flavor works, just pick your favorite one! 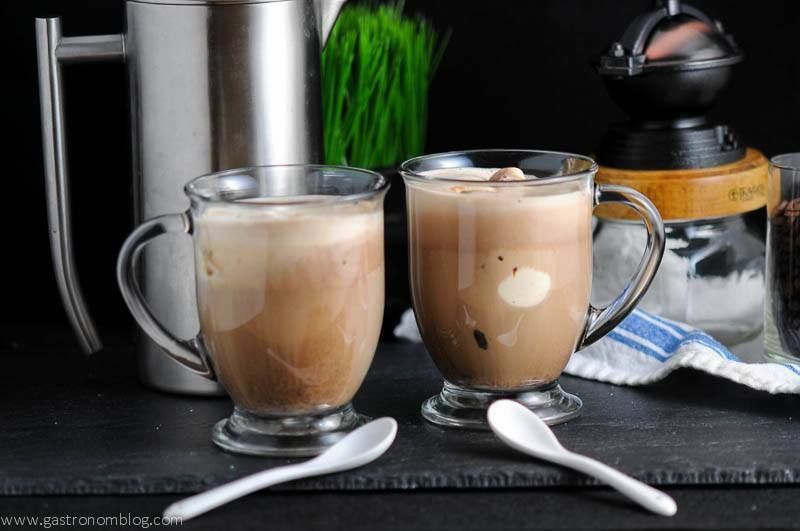 PIN THIS AFFOGATO RECIPE FOR LATER! It’s a great way to have coffee, but cold! Hope he enjoys it! OMG, this is the absolute perfect drink for summer. I can’t wait to try it. I’m pinning for later. Thanks for sharing ? Wow! How delicious! I am going to pin this. I love coffee and you just made it even more tasty. Thanks! Thanks, we think it’s an amazing combo and treat! How perfectly decadent—and easy! But I will keep the “easy” part a secret! Thanks! Yep, shhhh……it’s so hard, only I can make it! LOL! Thanks, you can totally make it your own that way! Oh my this looks AMAZING. Coffee and ice cream are a match made in heaven. It really is! I want one now! Def pinning this – would be a perfect late evening treat – after the kiddos are in bed! I have to say I always look forward to your posts. This treat is perfect for summer! Thanks so much! Yes, it is perfect for those warm evenings! Yum!! Affogatos are my FAVORITE!! This looks super tasty and I love your pics! Aw, thanks so much, Katherine! It’s so good, and Bailey’s would be amazing in this! Thanks for stopping by! Now this is speaking my language. Coffee and ice cream together? YES PLEASE! I know, right? Soooo good! Wow! Beautiful images and such a delicious recipe! This sounds amazing! I have never heard of this but I love both coffee and gelato. I can’t wait to try this recipe. Yum!